The United States is not a preternaturally inward-looking nation, and isolation is not the natural disposition of Americans. The real question is not whether Americans are prone to isolation or engagement, but how their engagement with the world has evolved, how events have made the United States a superpower, and how these developments have been guided by political leadership. Indeed, the great debates on foreign affairs in American history have not been about whether to have debates on foreign affairs; they have been between the competing visions of American influence in the world. In Architects of Power, Philip Terzian examines two public figures in the twentieth century who personify, in their lives, careers, and philosophies, the rise of the United States of America to global leadership: Franklin D. Roosevelt and Dwight D. Eisenhower. Terzian reveals how both men recognized and acted on the global threats of their time and questions whether America can rise to the same challenges today. Without this clear window into the stricken world that Roosevelt inhabited and Eisenhower understood, we are unlikely to recognize the perils and challenges of the world we have inherited. Philip Terzian has been a political and cultural journalist for nearly forty years. He has written and edited for the New Republic, the Los Angeles Times, the Wall Street Journal, The New Criterion and the Times Literary Supplement. Since 2005, he has been Literary Editor of The Weekly Standard. He lives in Washington, D.C. 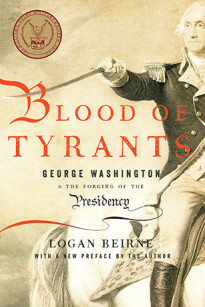 Blood of Tyrants reveals the surprising details of our Founding Fathers’ approach to government and this history’s impact on today. Delving into forgotten—and often lurid—facts of the Revolutionary War, Logan Beirne focuses on the nation’s first commander in chief, George Washington, as he shaped the very meaning of the United States Constitution in the heat of battle. Racing Against History is the untold story of three powerful personalities who sought to turn the tide of history. In 1940, David Ben-Gurion, Vladimir Jabotinsky, and Chaim Weizmann—the leaders of the left, right, and center of Zionism—undertook separate missions to America to seek support for a Jewish army to fight Hitler. The Wages of Appeasement explores the reasons why a powerful state gives in to aggressors. It tells the story of three historical examples of appeasement: the greek city-states of the fourth century b.c., which lost their freedom to Philip II of Macedon; England in the twenties and thirties, and the failure to stop Germany’s aggression that led to World War II; and America’s current war against Islamic jihad and the 30-year failure to counter Iran’s attacks on the U.S.